As the saying goes, no HPC centre is an island. Indeed, SciNet operates in partnership with a number of other organizations, listed below. The Compute Canada Federation is the national umbrella organization for advanced research computing infrastructure and support in Canada. This not-for-profit organization partners with the regional organizations ACENET, Calcul Québec, Compute Ontario, and WestGrid, to plan national systems and resource allocations, secure funding, and promote Canadian excellence in advanced research computing nationally and internationally. Compute Ontario is a not-for-profit corporation designed to support advanced computing in Ontario. They develop central strategies, planning, and advocacy for advanced computing assets and investments in Ontario, and aim to facilitate collaboration. They have partnerships with the Ontario academic providers of HPC systems and support: SciNet, SHARCNET, CAC, and HPC4Health. SciNet hosts several of the systems of the Southern Ontario Smart Computing Initiative Platform and provides support for these systems. Partnering with the Department of Physics at the University of Toronto resulted in the creation of the course PHY1610H Scientific Computing for Physicists, designed and taught by Dr. R. van Zon and Dr. M. Ponce, who are also HPC analysts at SciNet. 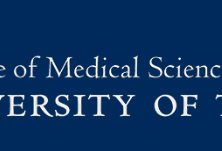 Partnering with the Institute of Medical Science at the University of Toronto allowed us to create the course MSC1090H Introduction to Computational BioStatistics with R, designed and taught by Dr. M. Ponce, Dr. E.J. Spence and Dr. R. van Zon, who are also HPC analysts at SciNet. 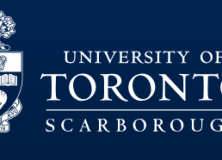 Partnering with the Department of Physical and Environmental Sciences at the University of Toronto Scarborough has been instrumental to create the course EES1137H Quantitative Applications for Data Analysis, designed and taught by Dr. M. Ponce, Dr. E.J. Spence and Dr. A. Fedoseev, who are also HPC analysts at SciNet.